The Texas Senate broke a logjam Monday that had paralyzed a piece of priority legislation for weeks — blunting a controversial provision in a property tax reform package and then advancing the bill, without having to deploy a procedural “nuclear option” to move it. A vote on Senate Bill 2, a top imperative for state leaders, had been expected last week. But an apparent lack of support stalled the vote in the upper chamber, where the backing of 19 senators is generally required to bring a bill up for debate. After Republican Lt. Gov. 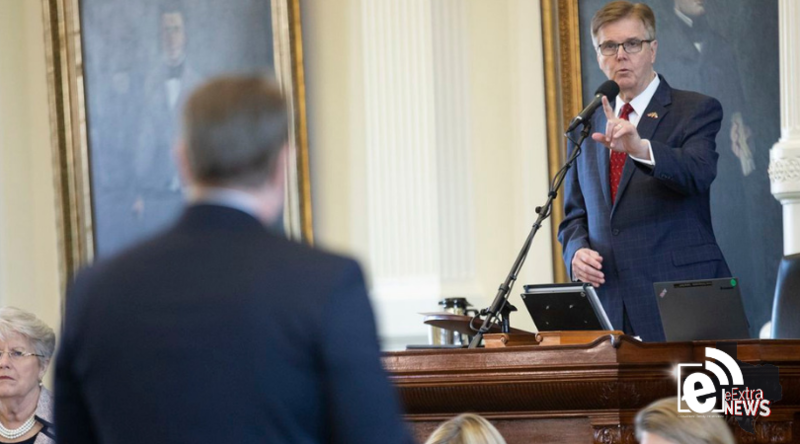 Dan Patrick threatened to blow past decades of tradition and bring the measure to a vote with a simple majority, state Sen. Kel Seliger, a vocal dissenter, relented Monday, allowing the bill onto the floor. He did not support its passage. Seliger’s announcement came alongside a reworked bill, that was unveiled Monday with a handful of technical changes and one notable concession. As updated, SB 2 will force cities, counties and other taxing entities to receive voter approval before raising 3.5% more property tax revenue than the previous year — a change from the 2.5% trigger originally proposed. School districts would still face the 2.5% threshold under the version of the bill approved Monday. Revenue generated on new construction does not count toward the threshold. And small taxing units, with sales and property tax levies under $15 million annually, will need to opt into some of SB 2’s provisions in an election. Municipal leaders and lawmakers like Seliger, a former mayor, have called the 2.5% figure punitively low and said it would cripple local governments’ ability to provide public safety services. A 1 percentage point increase is unlikely to appease them; the Senate and House deadlocked at higher thresholds of 4% and 6%, respectively, in 2017. But a long-shot bid to replace the 3.5% figure with 6% did not advance Monday. Other amendments — which would have exempted hospital districts, community colleges and certain municipal services from parts of the property tax legislation — all failed, largely on party-line votes. And when state Sen. Beverly Powell, D-Burleson, described the possible effects of SB 2 on her local cities and counties, it prompted the author of the legislation, Sen. Paul Bettencourt, R-Houston, to respond: “This is where my teddy bear becomes a grizzly bear.” Her amendment was not adopted. One successful change came from Sen. Pete Flores, R-Pleasanton, who proposed allowing the money counties to spend on indigent defense to be factored into their tax rates. After three hours of debate, SB 2 passed on an 18-13 vote, with Seliger joining the upper chamber’s Democrats in opposition. It was then given final approval on an 18-12 vote — with Sen. Eddie Lucio, Jr., D-Brownsville, voting present — and will be sent to the House for further debate. The lower chamber, meanwhile, has postponed discussion of its property tax reform legislation until April 24. Unlike the Senate’s version, the House has exempted hospital districts, community colleges, emergency service districts and school districts from abiding by a 2.5% election trigger — a move that has inflamed far-right lawmakers and activists, who say homeowners will feel scant relief if those entities are exempted. Currently, taxing units can bring in 8% more property tax revenue before voters can petition for an election to roll back the increase. SB 2 and the companion measure in the House would make those elections automatic and would make a battery of widely supported reforms designed to increase transparency and utility for taxpayers. Even after Monday’s modifications, a key difference between the House’s and Senate’s legislation is their approach to school districts. House Bill 2 no longer contains language about schools, and leaders in the lower chamber have said another measure — approved by a wide margin in early April — will reduce school districts’ tax rates by 4 cents per $100 of taxable property value. The most recent draft of SB 2 reins in increases to school district tax rates using language that appears similar to what was in the original version of the bill — language Bettencourt’s office once referred to as a placeholder. 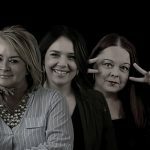 According to the Texas Taxpayers and Research Association, a business-backed association, the provision would actually allow school districts to increase their tax rates without voter approval, as long as the rate increase was less than 2.5%. Currently, school districts must go to voters if they raise taxes above $1.04 per $100 valuation up to the maximum $1.17. “An initial attempt at a one-size fits all solution was included in HB 2 and SB 2 as introduced — but however well-intentioned, the school language didn’t work,” Dale Craymer, TTARA’s president, wrote in a critique of the bill. He has said the House’s school finance legislation, which would lower school district tax rates statewide, provides “both tax relief and tighter constraints on future tax increases.” Nevertheless, an attempt from Sen. Kirk Watson, D-Austin, to strip school district language from SB 2 swiftly failed Monday. Watson, a former mayor, later said the House’s education bill — which was removed from a schedule indicating it would be heard in committee this week — was being held hostage to pass the upper chamber’s property tax measure. “SB 2 is not the place for the debate as it relates to school district taxes,” he said. Abbott has said school districts must have a limit on their ability to increase property owners’ tax rates by more than 2.5%. Originally published by Shannon Najmabadi on The Texas Tribune. Aliyya Swaby contributed to this report.